Inside you is a great rider—a rider who’s full of possibilities, potential, courage, and confidence. All you need to do is figure out how to let that inner greatness out…and you’ve come to the right place! Your ability to release your inner-greatness depends on a series of important physical and mental skill sets. For example, you might have the world’s best leg, seat, position, and posture, but if you’re constantly freaking out, panicking, hyperventilating, and worrying before every ride, there’s a pretty good chance your brain is going to hold your body back. Likewise, you might have the world’s best focus, confidence, willpower, and optimism, but if your muscles are constantly burning and you don’t have any core strength, stamina, or balance, there’s a really good chance your body is going to hold your brain back. Only when your physical and mental abilities come together—when brain and body meet, and your frame and frame of mind become one—are you really able to truly tap into your inner greatness. If you’re like most equestrians, you’ve probably spent years developing your hips, heels, and hands because you know they’re a major key to your success as a rider. 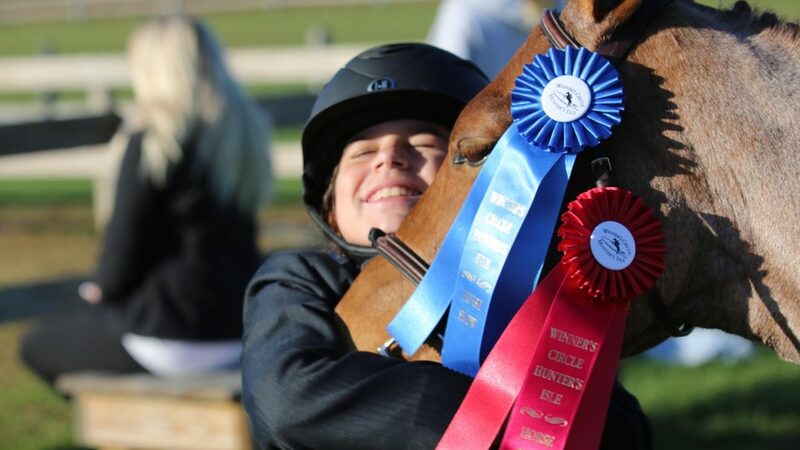 You’ve probably also spent countless hours developing your horse because you also know that without a confident partner, there’s little chance you’ll succeed. 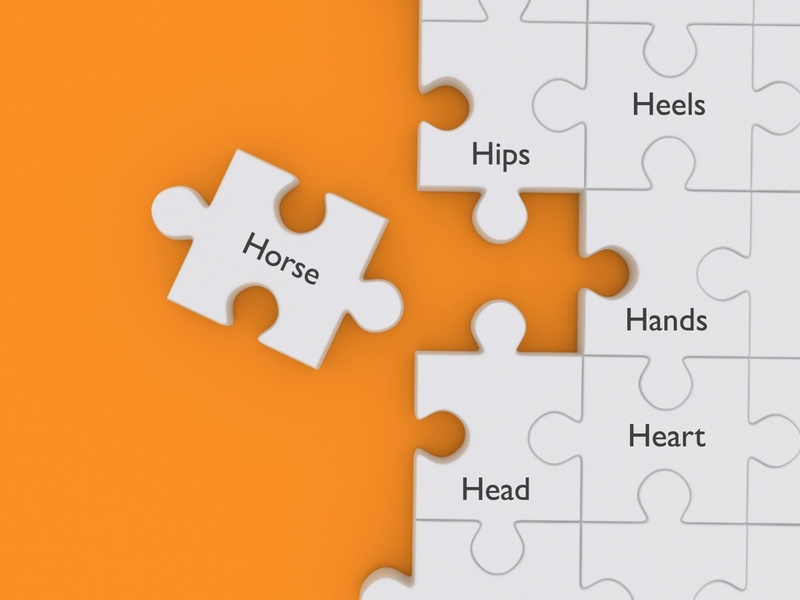 I applaud you for working so hard on your hips, heels, hands, and horse but want to remind you that your puzzle is still missing a few important pieces—your head, health, and heart! You head is where confidence, courage, self-belief, and resiliency are born. Your health is how you prepare for (and protect your body against) the physical demands of our sport. And your heart is where your ability to forgive yourself after making a mistake—or finish strong after a slow start—resides. Combine them all together and they create the ability to turn setbacks into comebacks—to hold it together when it would be easier to let it fall apart. This is what it means to be a complete rider: an athlete who dedicates his or her life to building strong hips, heels, hands, horse, head, health, and heart. 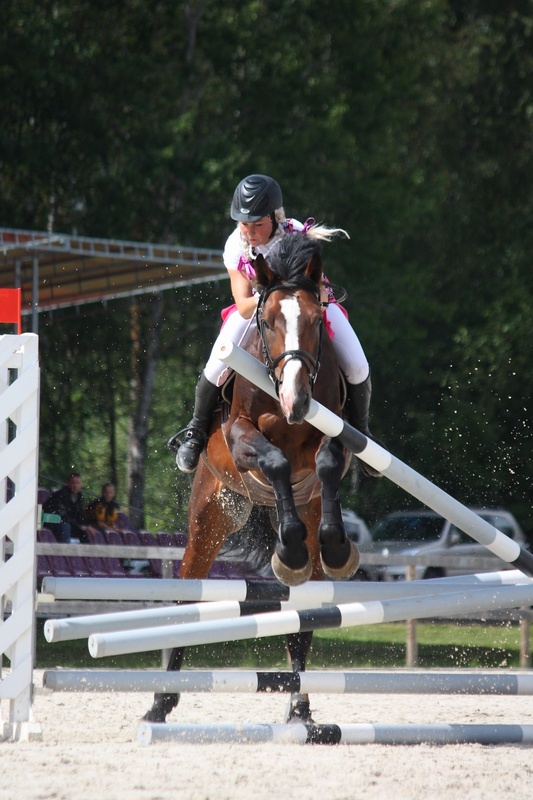 Riding is a sport of distances: 10-meter circles, 12-foot strides, 3-foot fences, and 250 meters per minute are all distances that influence your ability to succeed, but perhaps the two most important distances of all are the 5 inches between your ears and the 5 feet below them. After all, this is where confidence, courage, consistency, and core strength are created. Out of respect for you as the athlete you know you are, and out of the knowledge that to get the most out of your equine athlete, you—the equestrian athlete—must also be prepared to do the same thing: to never ask of your partner what you’re not prepared to ask of yourself. There’s a famous saying that goes, “In order to soar you have to give up everything that weighs you down.” I couldn’t agree with this more. Maybe this unwanted weight comes in the form of getting disappointed after making mistakes, feeling defeated after poor performances, struggling with show-jitters, or trying to live up to the expectations of others. Or perhaps this unwanted weight comes in the form of tired muscles, stiff joints, an uneven seat, or poor posture. Regardless of where it comes from, when you bring together your hips, heels, hands, horse, head, health, and heart, you can truly soar! 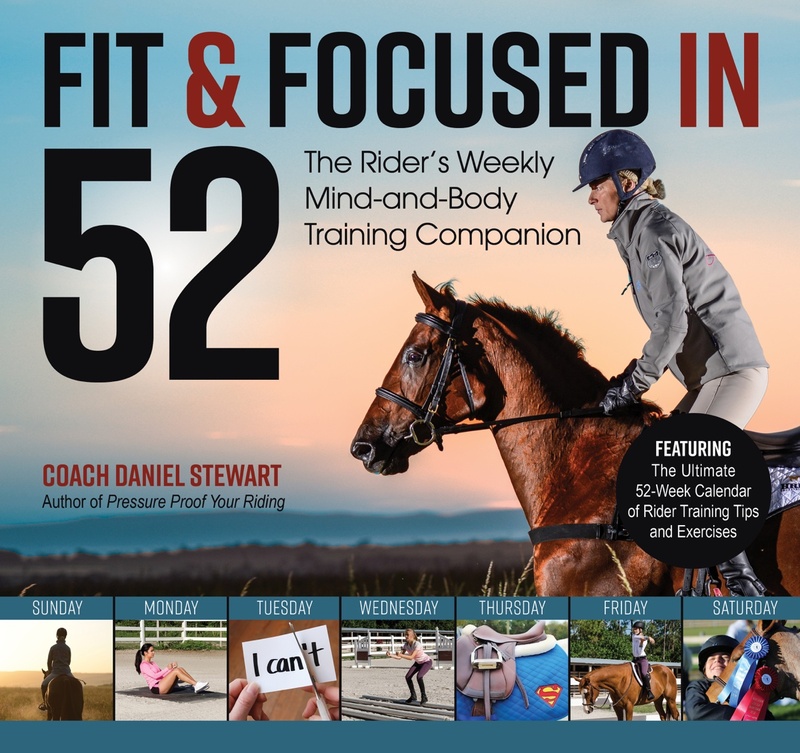 This excerpt from Fit & Focused in 52 by Daniel Stewart is reprinted with permission from Trafalgar Square Books (www.horseandriderbooks.com).